SYS-CON’s Cloud Computing Journal included Dataline in its expanded list of the most active players in the cloud ecosystem. In adding Dataline to the “Top 100” list, Jeremy Geelan noted that “…the role this company fills as a mid-level Federal System Integrator is crucial to the adoption of these technologies by the public sector”. In a related announcement, Dataline was also named a “Cloud Computing Technology Contributors of 2009“. Jeremy Geelan is Sr. Vice-President of SYS-CON Media & Events. He is Conference Chair of the International Cloud Computing Conference & Expo series and founder of Cloud Computing Journal. 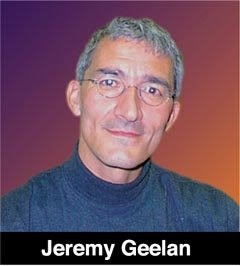 He is also executive producer and presenter of “Power Panels with Jeremy Geelan” on SYS-CON.TV. Thank you Jeremy for including Dataline.